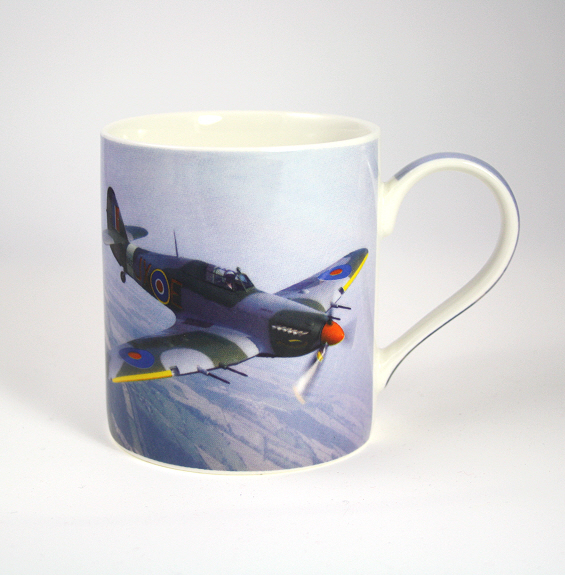 A beautiful aerial picture of a Hawker Hurricane aircraft flying over green landscape on a china mug. 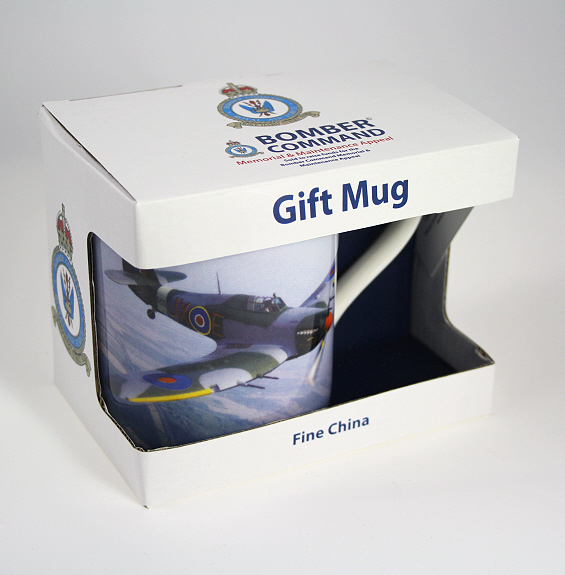 This aircraft mug comes in a Bomber Command box which states that the item sold helps raise funds for the Memorial & Maintenance Appeal. Attractive white open front box with Bomber Command details as above. Novelty Aeroplane Clock. A neat brushed silver miniature Spitfire plane sat on a spindle with the clock face located on the plynth underneath. A pair of RAF roundel cufflinks in traditional red, white and blue.